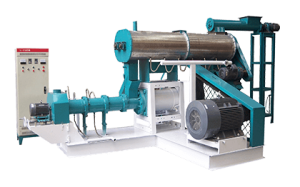 Fish feed mixer applies to equably blending powder or particle materials of good flowability. Meanwhile, there is no dissolution, volatilization or modification of the materials during the blending process. 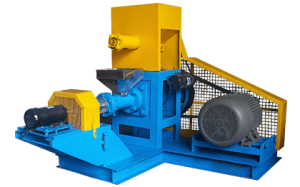 The fish feed mixer is well-designed, efficient and easy to operate. It is made of stainless steel with a unique design, and the inner wall and outer wall are both been well polished. 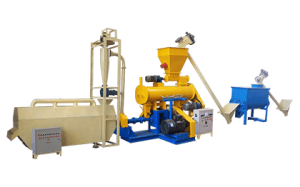 The fish feed mixer is a cost-effective machine for fish feed manufacturer, and measure up to the GMP standard. 1.Examine the machine before starting operation. Be assure there is no foreign object in the mixer, and the inner wall is dry and clean. 2.Check the raw materials for making fish feed, and assure the materials are totally dry. 3.Put the materials into the machine according to the capacity of the mixer. Then tighten the lid of the inlet. 4.Turn on the power, then the machine begins to work. 5.If there are any abnormal noises or vibrancy of the machine, we should turn off the machine immediately and inspect it. 6.Prepare a container under the outlet of the machine. When the mixer finishes blending, we can discharge the materials into the container. 1.Place the fish feed mixer in a ventilated, dry and clean room. The machine works perfectly in the temperature ranging from -5℃ to 40℃. 2.Only professional operators can operate the mixer in case of accidents. 3.The lubricating oil of the retarder should keep clean. If the machine is used frequently, we should replace the oil every three months. 4.Make sure the electric control parts of mixer are clean and agile. Repair the machine promptly if there is any malfunction. 5.We should clean the mixing chamber after using every time. If the mixer is out of service for a long period, we should totally clean it up and shroud it. 6.Inspect the parts of machine one or two times every month regularly. Pay much attention to the power shaft, transmission parts and reducer casing.